Enamel paint is widely admired because of its hard, glossy finish. It's commonly used for interior and exterior painting. Most enamel paint options are oil-based or water-based. Should you use enamel paint? A unique advantage of enamel paint is its ability to dry quickly when exposed to air. People who work with this type of paint don't have to worry about it dripping and ruining the floor. The final results are a lot smoother and almost near perfect with little sheen, depending on the oil content. Although oil-based enamel paint takes a longer period to dry, it ends up with a harder finish. 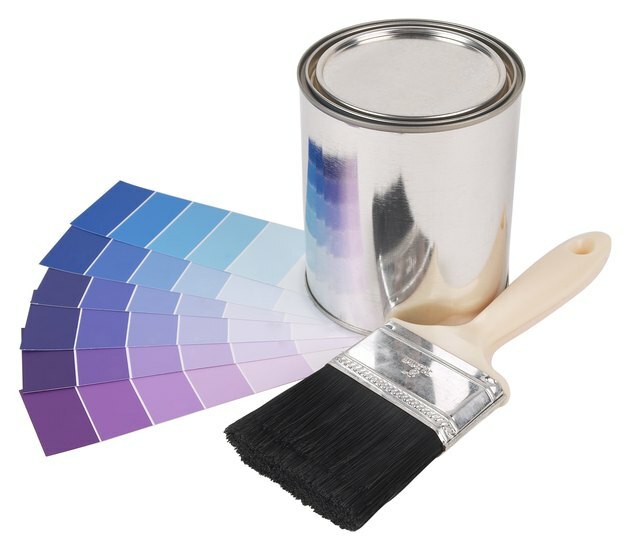 Once hardened, enamel paint can last for many years. It's resistant to mildew and can be washed if it gets stained. This makes it an ideal choice for areas of the home that are prone to dirt and stains, such as the bedroom, kitchen and living room. Enamel paint comes in a broad range of colors. Homeowners don't have to search very hard before finding the right shades and tones. Oil-based enamel paints have strong odors that can be very irritating and sometimes harmful. Because they're made out of solvents such as urethane, they are potentially flammable while still in wet form. The volatile content of enamel paint can also cause grave damage to the environment, especially in situations where spills occur. This has led to increased calls for its control by the Environmental Protection Agency. However, water-based enamel paints are not as toxic and allow painters to work without having to worry about inhaling toxic fumes or putting up with the strong odor.